Do you notice the pattern of how a domain name can help users remember the website and also help the website to rank at the top of Google search results? These search results show that using a domain name that matches search keywords does get factored into a website’s higher ranking. Anyone and everyone wanting to make their websites more effective these days are talking about SEO, or search engine optimization. But not every article and every expert knows what they’re talking about. Google’s ranking algorithm changes almost every day, factoring in over 200 signals when deciding how to rank websites. Some of these signals have to do with the keywords in the domain names and URLs. Some of these signals have to do with the website’s content—keyword usage, on-page optimization (appropriate tags and forrmatting), relevancy, and quality. Of course, Google closely guards the algorithm as its secret sauce. And they have clearly stated that domain extensions are all treated equally, both the legacy TLDs, like .ORG and .COM, and also new TLDs, like .BIBLE and .APP. This research has found that new TLDs could have better SEO performance for relevant keywords. What does this mean for your website? You’ll want to have as many signals about your websites to rank in your favor — both its domain name and its content. 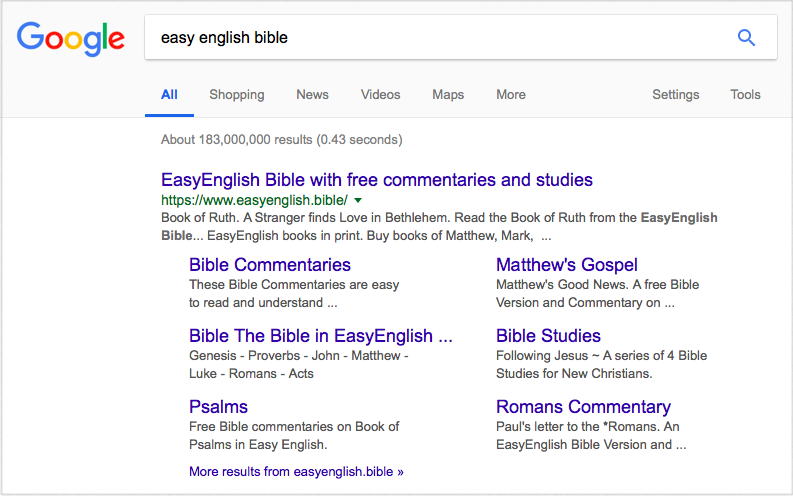 When you have Bible-inspired content, consider how a .BIBLE domain name can better reach your audience. If you are more of a visual learner, be sure to check out the infographic version of these SEO highlights from the content found in this article. * Note: these top rankings were captured when this article was posted. Search rankings may vary from user to user due to personalization, geolocation, device type, search history, etc.